Amanda Stevens presents high-energy, customised keynotes and workshops on 'why people buy'. 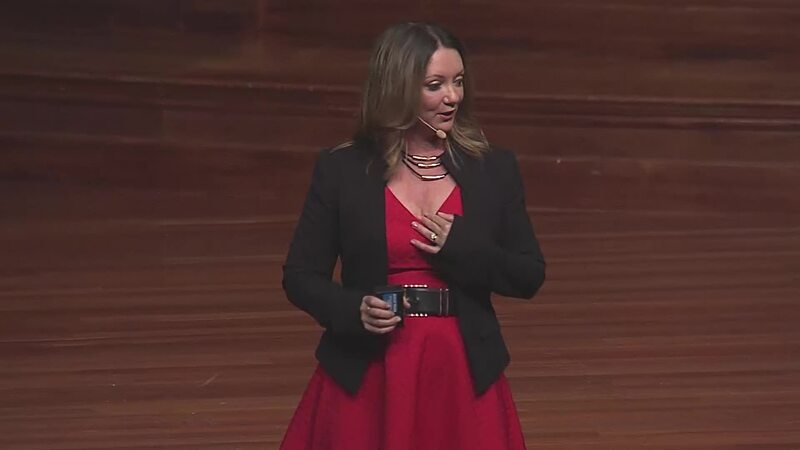 Widely regarded as one of the most popular female speakers in Australia, her ability to craft powerful messages, infused with humour and insight makes her presentations memorable and actionable. A master storyteller, Amanda captivates her audiences with a distinctive combination of current insights, social commentary and dynamic examples, delivered with a sharp wit and take-away value. If you're looking for a speaker on sales, marketing, gender psychology, customer service or the future of consumers, Amanda can tailor something specifically for your audience with a powerful message that will last well beyond the presentation. With five keynote topics and five workshop options that can be mixed and matched to suit your conference theme and unique needs, Amanda's depth of experience and breadth of content means she can kick off or close any conference with a high energy, entertaining keynote or she can facilitate a structured, tailored workshop for a small group - and anything in between. Good brands have satisfied customers. Great brands have raving fans. De-coding the science of advocacy, Amanda explores why existing customer bases are a businesses greatest hidden asset and outlines a plan for delegates to create a brand that customers willingly and enthusiastically rave about. With the current shift from ‘word of mouth’ to ‘word of mouse’ a business can grow at lightning speed if it delivers an incredible customer experience, amplified by social media. In 2013, over 3,000 Australian retailers shut their doors. The last five years have seen the toughest economic climate for the retail sector in decades yet in that time, with the same economic environment and same consumer confidence, many retailers have achieved double-digit growth. What those brands are doing differently was what Amanda Stevens set out to identify in writing her latest book, Retail Revival. With the simple framework of gender, Amanda reveals how men and women will shop, purchase and form brand loyalty in years to come. Backed by neurological research and indepth analysis of consumer trends, this keynotes provides insight into how brands market to the majority, and the growth this brings even in turbulent times. Whether you’re selling hardware or homewares, travel or telecommunications, cars or computers — this presentation will arm you with an incredible toolbox of sales and marketing ideas to get more customers buying more products and services from you more often. In this drastically altered, post digital world, a renewed focus is being placed on the power of human connection. More than ever, the way we speak, hold ourselves and non-verbally communicate has the power to influence – whether in a sales negotiation or in our personal lives. In this enlightening keynote Amanda examines the critical ways we can each focus on building a rapport with those around us. Women are starting businesses at almost three times the rate of men — turning their passions into profits. Having done this herself, no one knows how to weather the highs and lows better than Amanda. Why the little things are often the big things - modern mechanisms for women to create the life they truly deserve. * Wonderwoman is specifically designed for female audiences - womens groups, business awards and networking events. Enter Amanda Stevens. She blew the room away and turned our clients into raving fans. WOW ... just Amazing. Amanda took us on a 60-minute mind-blowing journey and we were with her ever second of the way. Amanda is a very enjoyable speaker with fantastic humor! One of the most engaging and funny speakers IÃ¢Â€Â™ve seen in a very long time. Amanda is the perfect combination of insight, entertainment, humour and take-aways. Nothing short of brilliant! If youÃ¢Â€Â™re looking for a speaker who will over deliver and have your audiences talking long after sheÃ¢Â€Â™s left the stage, book Amanda ... you wonÃ¢Â€Â™t be disappointed. Amanda was an absolute pleasure to work with. True professional from beginning to end! Her presentation was very well received by our audience and she even handled a few technical difficulties with ease, working it into her presentation and using it to get some laughs along the way! Our audience loved her and so We look forward to working with Amanda again in the future!